Utilized by many spearfishing clubs as a minimum participation requirement. The information in this course may save your buddy, husband, son, or daughter’s life. What is the first and most significant sign of a freediver encountering latent hypoxia during freediving or also known as shallow water blackout? What would you do if this happens to your buddy? How can you minimize the chances of this happening? What are the correct safety procedures? 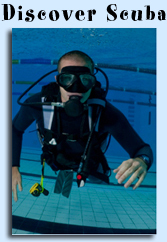 When handled incorrectly Latent Hypoxia during freediving can lead to death. The Basic Freediving Safety course will not teach you how to freedive, it is designed to familiarize students with the proper freediving supervision and basic safety and rescue procedures used in recreational freediving. This essential basic information is paramount learning for everyone involved in spearfishing on Long Island and all other freediving activities. Whether as a spearfisherman without any formal freediving education, spouse of a spearfisherman or freediver, or newbie interested in getting into breathhold activities such as spearfishing but not yet ready to dedicate the time and money to a full freediving course. This course has proved popular in Spearfishing Clubs around the United States as minimum certification for club membership. This course has a lowered minimum age requirement of 12 years old with parental consent consent to make it accessible to the younger generations developing a keen interest in spearfishing or freediving activities. This course should be looked upon as a minimum requirement for everyone participating in any form of freediving activities.